WEALTH MANAGEMENT SERVICES? WHY NOT? 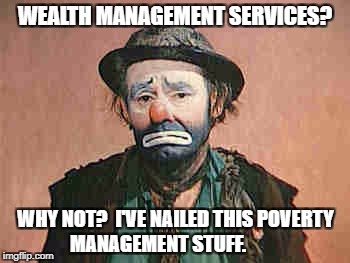 I'VE NAILED THIS POVERTY MANAGEMENT STUFF.